« Master Manipulator Karl Rove up to his usual tricks? This entry was posted on Thursday, June 23rd, 2011 at 11:41 and is filed under Sarah Palin. The country is running out of time. We’re broke, nationally, and as the spendthrifts in Washington, D.C. try to discover new and increasingly dishonest, disguised methods by which to hide the scope of the impending disaster, we should be considering what it means for we, the people. There can be no doubt that they are driving us to complete and unrecoverable collapse. I can describe to you what I believe their motives to be, but that doesn’t change the reality, and I’d rather focus on what we can do about it. Time is getting short. It’s possible that there will be no elections in 2012, because we may have collapsed into chaos and anarchy. If hyperinflation strikes, as some now believe it will, the country is over as we have known it. Let’s imagine, for the sake of argument, that we can stave off complete collapse at least long enough to hold the 2012 elections. What should be our electoral goal, as a people? We must first stop the hemorrhaging and apply a tourniquet to this nation’s deep, spurting, arterial wounds. That tide of blood, the lifeblood of our economy, and our future, cannot be stemmed by band-aids and a series of well-meaning but undisciplined politicians. We need a determined practitioner who is willing to crack the chest and do the serious, nation-saving surgery. As it stands, there is only one Republican under consideration who fits that description: Sarah Palin. My own farm is slowly failing. While part of it is the drought, and part of it is the stupidity of the Texas legislature, through its unwillingness to put Texas horsemen on par with those in neighboring states, much more importantly, it is the state of the general economy. 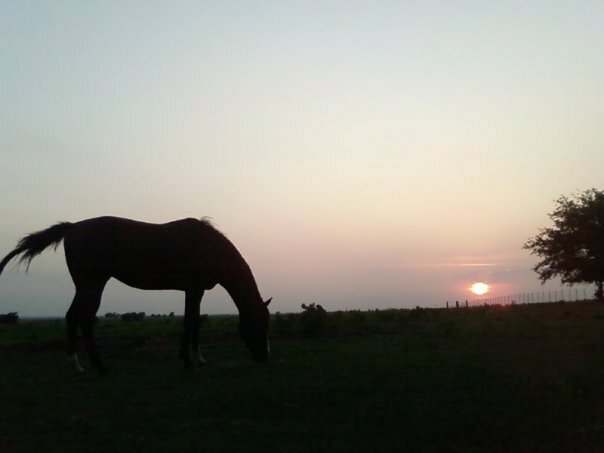 The price of fuel, the shrinking value of the dollar, and the general lack of disposable income nationwide is killing the horse industry in Texas. Nobody buys horses when they’re choosing between fuel for their vehicle, and food for their table. Soon, at my farm, it may be a choice between feeding horses and eating them. Barack Obama is gutting this country, and he’s doing it by intention and with malice aforethought. There can be no more claim that he is accomplishing this all due merely to gross incompetence. I don’t think it’s possible to be that incompetent. Even a blind pig finds an acorn occasionally. This guy doesn’t seem to notice a truckload of them. He sees them, but he evinces the willingness, and the naked determination, to ignore them. We cannot compromise or otherwise weasel our way out of this mess. There is no short-cut back to prosperity. It’s going to take daring, disciplined leadership. It’s going to take a leader that can look to all the people in the country and say, approximately: “You, the people, must lead us out of this mess, and it starts with a commitment to what is right, rather than what is easy.” Too few of our politicians are willing to get tough in the name of the country and its future. This is why I am betting the farm on Sarah Palin. Her shortened term as Governor of Alaska stands as empirical evidence that she knows how to lead, is willing to confront difficult problems, combat the media, fight entrenched interests, and rally the people to demonstrate the better angels of their nature. I will support Sarah Palin, if only she will run, and I am holding on, a little longer, with all I can, for the future of my country, and the future of my farm, in the hope that she will shortly answer the call.